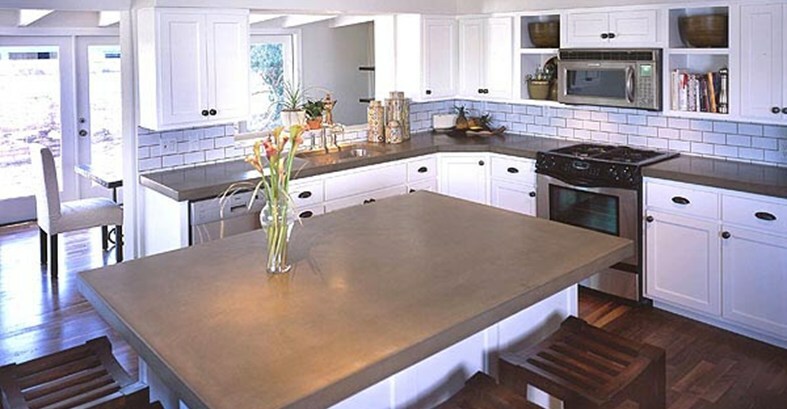 For a simple, clean look that’s neither fussy nor formal, concrete kitchen countertops are emerging as a kitchen design element of choice in a multitude of design settings from rustic country cottage, to sleek and modern. The growing emphasis on “green” sustainable design may be causing many to consider concrete as an option for kitchen design. 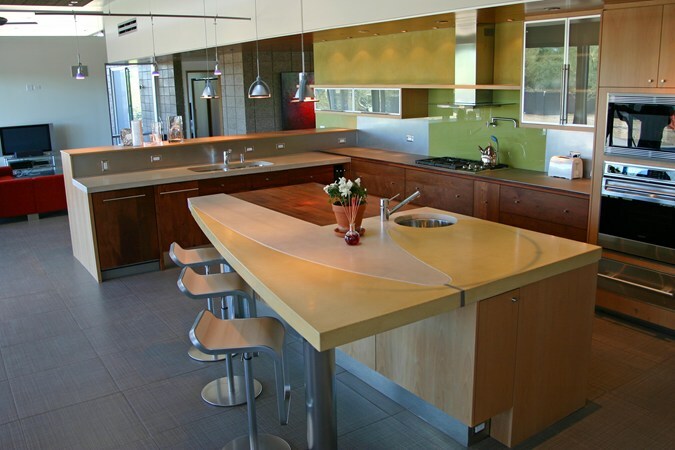 Advances in the field when it comes to colors, textures and shapes are making concrete a much more versatile natural material then ever before. 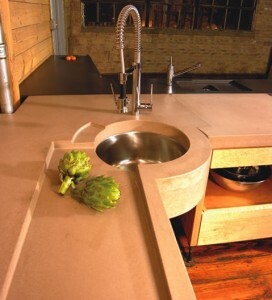 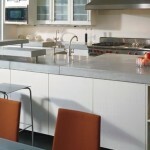 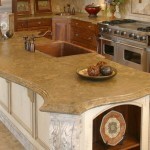 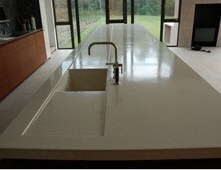 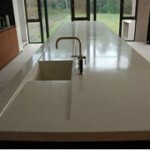 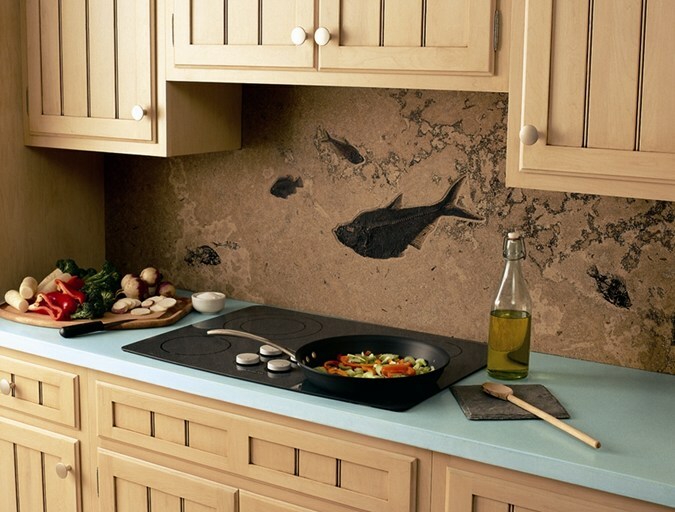 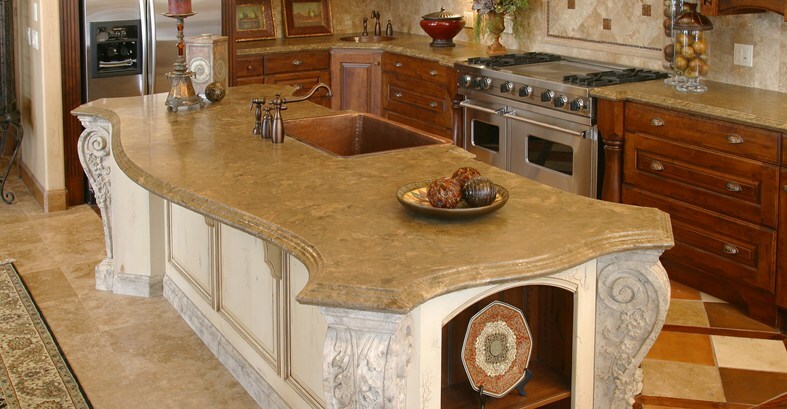 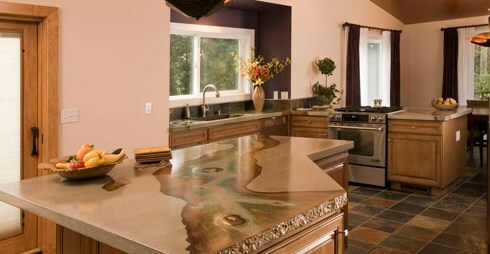 At one time, concrete countertops were seemingly limited to rustic settings. 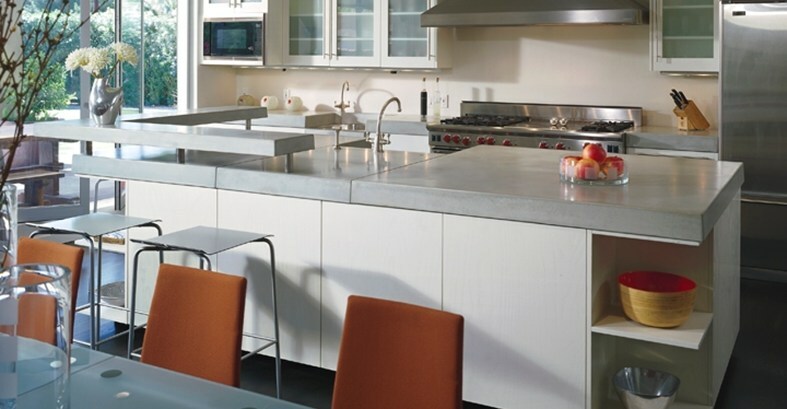 New fabrication techniques mean that concrete can be incorporated into modern and even traditional design environments. 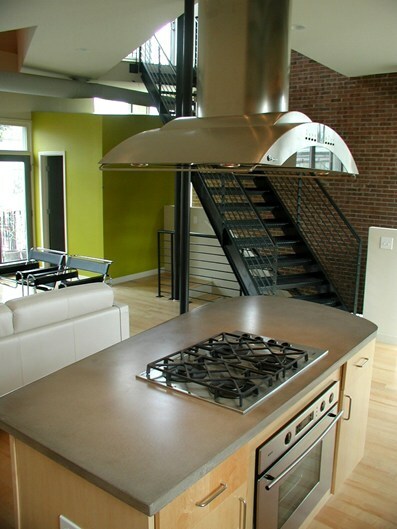 With contemporary concrete materials you have many options for color, texture and shape. 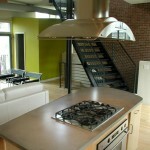 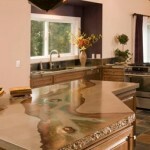 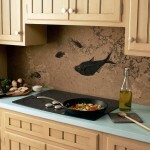 You can even incorporate other natural materials such as shells, metal, tile, and glass, to really spice up your design. 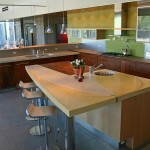 We encourage you to meet with us and discuss your design objectives. 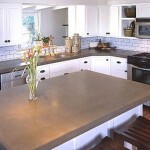 Learn how concrete may play an exciting role in your “green” design.